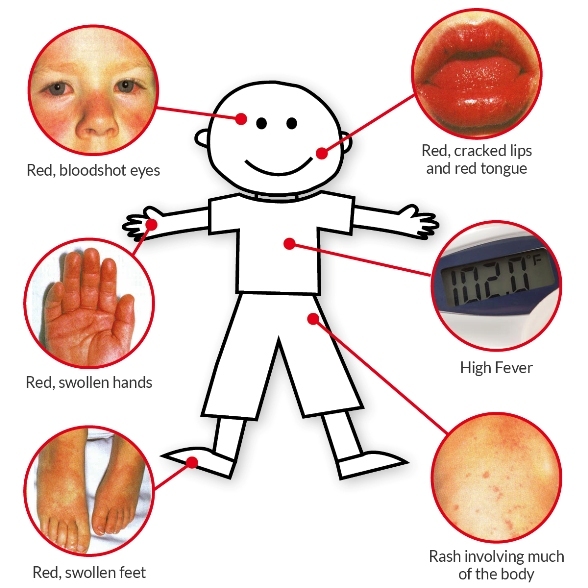 Kawasaki disease (or KD), also known as Kawasaki syndrome, is an acute febrile illness of unknown cause that primarily affects children younger than 5 years of age. The disease was first described in Japan by Tomisaku Kawasaki in 1967, and the first cases outside of Japan were reported in Hawaii in 1976. • irritation and inflammation of the mouth, lips and throat. Kawasaki disease is a leading cause of acquired heart disease in the United States and United Kingdom. Serious complications include coronary artery dilatations and aneurysms. The standard treatment, intravenous immunoglobulin and aspirin, substantially decreases the development of these coronary artery abnormalities. 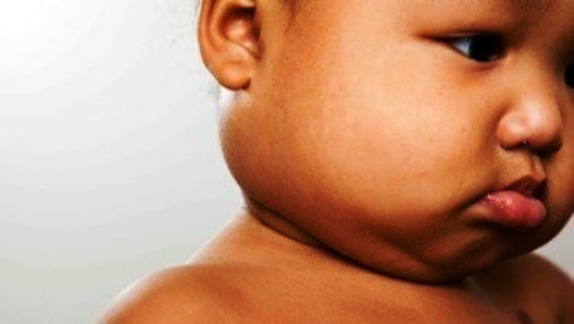 Most cases, children will recover within a few days of treatment without any serious problems. Recurrences are uncommon. If left untreated, KD can lead to serious heart disease. Kawasaki disease occurs worldwide, with the highest incidence in Japan and it most often affects boys and younger children. Kawasaki disease may have a winter-spring seasonality and community-wide outbreaks have been reported occasionally. In the continental United States, population-based and hospitalization studies estimate an incidence of Kawasaki disease ranging from 9 to 19 per 100,000 children under 5 years of age. In the year 2000, approximately 4248 hospitalizations with Kawasaki disease were reported among children under 18 in the US, of which 3277 (77%) were for children under 5 years of age. In 2009, the estimated number of hospitalizations with Kawasaki disease was 5447 (standard error, SE=297), 4040 (SE=227) for children under 5 years of age. The survey uses hospital discharge data, a passive Kawasaki disease surveillance system and special studies to describe the incidence and epidemiology of Kawasaki disease in the United States. The Kawasaki disease surveillance system has been maintained since 1976 and is based on voluntary reporting of Kawasaki disease cases by health care providers and local and state health authorities. A standardized case report form is used to collect information on patients. 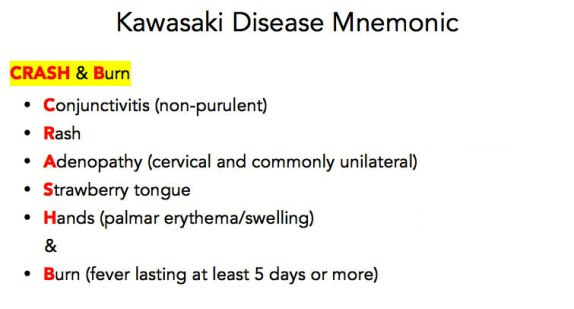 Patients whose illness does not meet the above Kawasaki disease case definition but who have fever and coronary artery abnormalities are classified as having atypical or incomplete Kawasaki disease. What's the long-term outlook for Kawasaki disease? • You make a full recovery without heart problems, which requires early diagnosis and treatment. • You develop coronary artery problems. In 60 percent of these cases, patients are able to reduce these concerns within a year. • You experience long-term heart problems, which requires long-term treatment. • You have a re-occurrence of KD, which happens in only 3 percent of cases. Kawasaki Disease has a positive outcome when diagnosed and treated early. With treatment, only 3 to 5 percent of Kawasaki Disease cases develop with coronary artery problems. Aneurysms develop in 1 percent. Children who have had Kawasaki disease should receive an echocardiogram every one or two years to screen for heart problems.